Cody Slaughter has been tagged as one of the most talented, young Elvis Tribute Artist’s in the country. Born and raised in Harrison, Arkansas, gateway to the beautiful Ozark Mountains, Cody Slaughter began entertaining at the young age of 13. 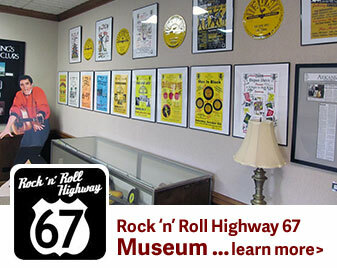 A true Southern boy, Cody’s true passion for Elvis’ music and memory has directed his career path. “My greatest joy is when I am paying tribute to Elvis and his music and trying to keep his spirit alive with his fans” Cody Slaughter June 2010. Among some of Cody’s most exciting accolades were winning The People’s Choice Award during Elvis Week 2008. In July of 2011, at the Las Vegas Elvis Fest, Cody received The Horizon Award for best new Elvis Tribute Artist. The award was given on the same stage where Elvis made history at the Las Vegas Hilton. Representing Tupelo, Mississippi (Home of Elvis’ Birthplace) Cody was named the ‘Ultimate Elvis Tribute Artist’ by Elvis Presley Enterprises’ in Memphis TN during Elvis Tribute Week 2011’. Cody then took on the roll of Elvis Presley in the national tour of the Tony award winning hit theatrical production ‘The Million Dollar Quartet’. Cody has just been nominated as best featured actor in a musical for his role. 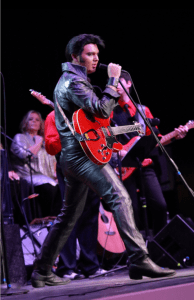 For his 3rd straight year Cody stared in the Elvis Birthday Tribute Tour honoring Elvis 78th Birthday throughout January of 2013. In February Cody appeared as the musical guest on the Late Show with David Letterman on CBS television at the Ed Sullivan Theater in New York. Both Elvis and Cody were both the same age when they appeared on that very stage.